Bertrand Catholic Cemetery is full of history but the current state of disrepair leaves little history left. Many stones are badly damaged and much of the brush is overgrown. Although not in prime form as of this writing, the atmosphere is very peaceful with the sounds of nature. 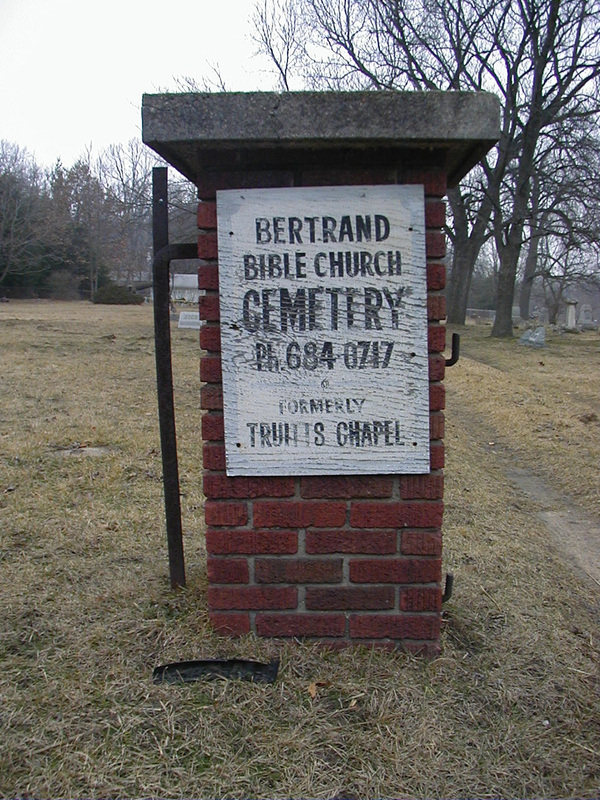 In 1975, David Savage of the Berrien County Genealogical Society transcribed the headstones. He found 189 markers with the oldest one that of early settler and founder of Bertrand Township, Madeline Bertrand who died in 1846. Unfortunately, Madeline’s grave was not found in 2001.